In south west WA black cockatoos are an integral part of the landscape, harbingers of rain, tripping on half chewed nuts and drowning out occasional conversations with their raucous banter. But due to habitat loss, the Carnaby, Baudin and forest Red-tails are now endangered and need our help if future generations are to enjoy them too. In 2019 the 10th annual Bird life Western Australia Cocky Count is planned for the 7th of April between Esperance and Geraldton. Counts are taken at dusk to identify as many night roosting sites as possible. 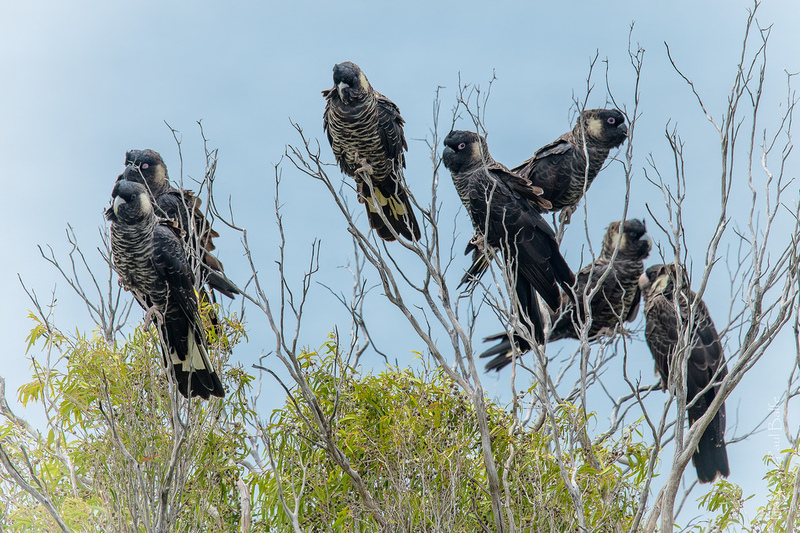 The information collated by community volunteers is analysed by Birdlife WA and the Department of Biodiversity, Conservation and Attractions to estimate changes in the population and distribution of these birds. This analysis is shared with government and planners along with guidance on cockatoo conservation for better informed policy decisions. You can be part of this citizen science initiative either by reporting a new night roosting site or joining other volunteers on existing site near you.